Here’s a collection of Model Compositions written by Primary School students in Singapore. These compos are written by our students. They are based on the latest school syllabus. These students learnt how to write from the Creative Writing Master Class online course. Some also learn in our live, physical classes. 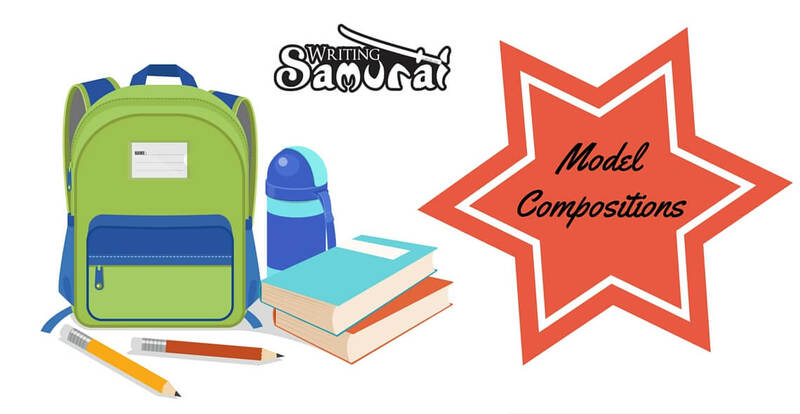 These compositions are categorised by common examination topics. The mistakes in these compos have been corrected. They have also been edited for easier reading. Do bookmark this page and check back every now and then for updates! Firstly, writing with good grammar rules is a MUST. Good grammar is the first and most obvious requirement to even be considered for a model composition. The examiner will also assess if your child is able to join sentences together. Also, your child should know how to use the punctuation appropriately. Next, your child cannot afford to have a limited vocabulary pool. 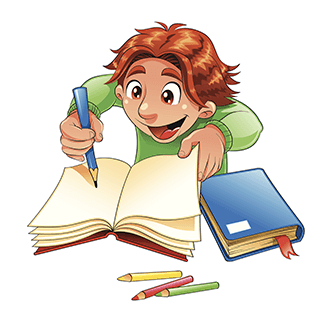 Not having a wide vocabulary will hamper your child’s ability to write in an illustrative way for their composition. Also, poor vocab will also result in stale, repetitive writing. This will bore readers and reflect badly on your child’s writing proficiency. A writer who knows how to wield the power of words can transform a mundane topic into one that captures the reader’s imagination. Being organised is essential to qualify as a model composition. Your child must be able to write the story in a proper sequence. There should be no loopholes, and descriptions should not be jumbled up. Finally, to achieve an exemplary composition status in a class full of high-level writers, your child must display creativity. Being creative means your child must be able to come up with a plot that is not only unique, but also related to the topic. In a class where everyone has good grammar and good vocab, a compo with a unique story line will win hands down. Furthermore, no examiner likes reading the same old plots again and again! 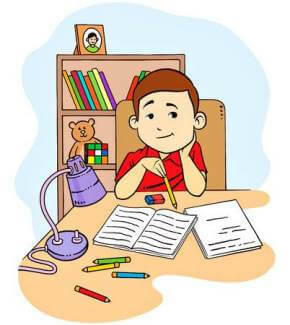 How to Write An Essay For Primary School? Hang on… Don’t forget about this! Get the best Model Compositions written by our students in this Ebook! 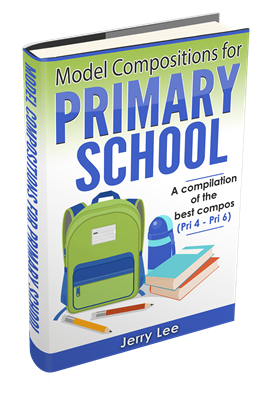 Hi Jerry, do you sell this book ‘Model Compositions for Primary School’ to members of the public? Is it available in Popular? It is free for download. But if you want a hard copy you can get it at my tuition centre in Hougang, 1030A Upper Serangoon Road S(534767), Intellicat Tuition School. Hi I’m primary school kid this help me a lot thank u ! Dear Jerry, I’m a primary school kid. This website helps me a lot.